Having just celebrated an open house that showed visitors a wealth of available space in the campus’ two buildings — one focused on arts; the other on business-boosting — the HUB Station is “an initiative to promote economic growth and community life by connecting the arts and business on one site,” explained Kathy Carroll, chair of the HUB Station Steering Committee. HUB stands for Hudson Uptown Building, the former moniker of what originally housed a school in the 1940s and later came under the Town of Hudson’s ownership. In 2003, the Hudson Board of Commissioners opened the revitalized HUB as an arts and events center. “It has been a great success,” Hudson Town Manager Rebecca M. Bentley said, “but the Board is committed to creating an even better, unique business and arts environment” and have shown as much by rebranding the facility as the HUB Station and adding the business angle with accessible space for entrepreneurs. 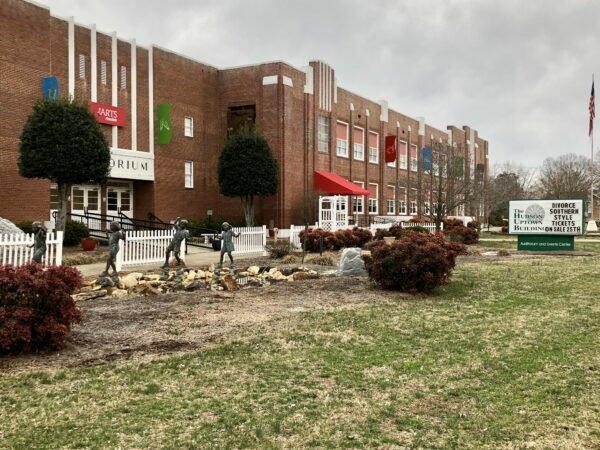 Caldwell Community College and Technical Institute’s (CCC&TI) Small Business Center has settled into the HUB Station’s second building, as have other business tenants who enjoy the space. Meanwhile, the arts building is burgeoning. The Western North Carolina Society of Artisans has leased space there, set up an art gallery and begun offering classes. The town additionally is working with the Caldwell County Arts Council to hold shows, contests and lessons on site. It’s up and up from there, “hub” serving operatively in the name. “We are anxious to see it grow as it becomes a vital part of the Hudson community and a destination point for all of Caldwell and surrounding counties,” said Bentley.